Namaskar SAC. 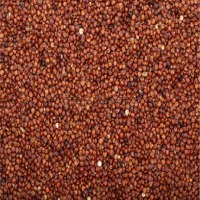 Supplier from Peru. View Company. Namaskar SAC is the fastest growing exporter, importer and supplier Latin American Super Foods, Herbs, Protein Powders, key nuts and dried fruits. We leverage an extensive global network that has been cultivated over the past few years, to source the best produce from various parts of mother earth delivers excellent quality of super foods, herbs, Proteins, nuts and dried fruits at the most competitive prices, right at your doorstep. At Namaskar SAC, our processes, quality and hygiene have made us one of the fastest growing exporters for Super Foods, Herbs, Protein Powders, key nuts and dried fruits from Latin America. Based out in Peru, Chile and India. We enjoy an efficient worldwide network of supply chain for supplying 100 % organic products.We are able to import the world?s most delicious nuts & dried fruits at fantastic wholesale prices for the Indian market. To be a vehicle of consciousness in the global market by creating a holistic, sustainable business model that inspires, promotes and supports true wellness. At the core of this vision is respect for all beings. 1. 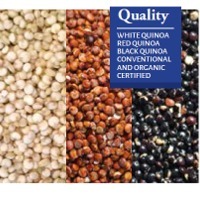 To deliver genuine organic super foods , Proteins, herbs ,Nuts & Dry Fruits to our consumers. 2. To introduce a unique and successful business model that is committed to service andintegrity, and benefits all. 3. 3. To support natural, sustainable, organic, agriculture practices. Camu-camu is a native Amazonian fruit mainly known for its high vitamin C content. Its composition confers high antioxidant capacity on this fruit and makes it a potential source of antioxidant products. 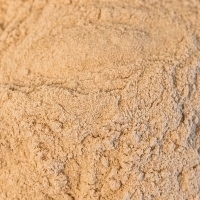 The use of spray-drying with the aid of a carrier agent is a technique that has been applied for the preservation of important components of foods and drugs. 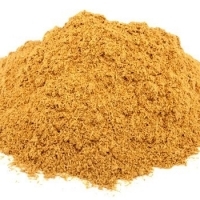 The objective of our work was to evaluate the influence of those agents used as shell material on the vitamin content and total phenolic compounds of camu-camu powder juice obtained by spray-drying. Materials and methods. 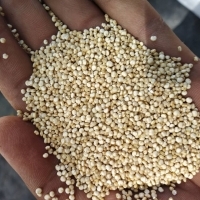 A commercial frozen camu-camu pulp was the raw material; maltodextrin and gum arabic were the selected carrier agents. Processes were performed in a mini-spray-dryer with inlet and outlet air temperatures of 180 °C and 85 °C, respectively, and a drying air flow rate of 700 L·h1. 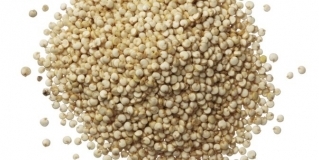 Laser diffraction was used to determine the particle size distribution of the samples, and sorption isotherms of spray-dried camu-camu were measured using a static gravimetric method. 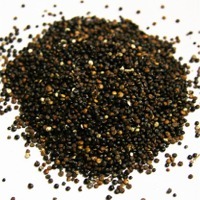 Total phenolic compounds and vitamin C were determined in the raw pulp and in the powders obtained. Results. When using gum arabic and maltodextrin as the carrier agents, the moisture results obtained for the spray-dried camu-camu powders were 2.8% and 3.2%, respectively; the process yield was 84% and 72%, respectively. The spray-dried powder produced using gum arabic presented higher contents of vitamin C [(15,363 ± 226) mg·100 g1] and phenolic compounds [(6,654 ± 596) mg GAE·100 g1] than the powder obtained with maltodextrin, respectively (11,258 ± 298) mg·100 g1 and (5,912 ± 582) mg GAE·100 g1. Conclusions. 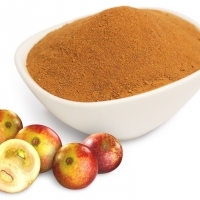 The concentration factors for the vitamin C and phenolic compounds in camu-camu powder reveal the effectiveness of spray-drying to preserve the antioxidant capacity of this fruit. Gum arabic was a more effective barrier than maltodextrin for bioactive compound retention. 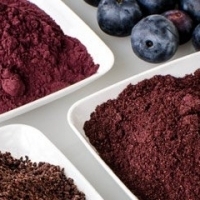 Some possible health benefits and traditional uses of Raw Freeze Dried Blueberry Powder may include: Possibly promotes antioxidant activity May support the body's ability to deal with macular degeneration Possibly helps to relieve diarrhea and constipation May support healthy heart function One of the few sources of ellagic acid May support healthy lipid levels May support the neutralization of free radicals that affect disease and aging May support healthy memory and brain function May support healthy digestion due to fiber content May support urinary tract health May support eye health and vision Micronutrients of Blueberries include: Minerals: Calcium, Iron, Magnesium, Phosphorus, Potassium, Zinc, Copper, Manganese, Selenium Vitamins: Vitamin C, Thiamin, Riboflavin, Niacin, Pantothenic Acid, Vitamin B-6, Folate, Choline, Betaine, Vitamin A (RAE), Beta carotene, Vitamin A (IU), Lutein & Zeaxanthin, Vitamin E, Beta Tocopherol, Gamma Tocopherol, Delta Tocopherol, Vitamin K Amino Acids: Tryptophan, Threonine, Isoleucine, Leucine,. Lysine, Methionine, Cystine, Phenylalanine, Tyrosine, Valine, Arginine, Histidine, Alanine, Aspartic Acid, Glutamic Acid, Proline, Serine Anthocyanidins: Petunidin, Delphinidin, Malvidin, Peonidin, Cyanidin Flavan-3-ols: Catechin, Epigallocatechin, Epicatechin, Gallocatechin Flavones: Luteolin Flavonols: Kaempferol, Myricetin, Quercetin Proanthocyanidins: Proanthocyanidin Monomers, Proanthocyanidin Dimers, Proanthocyanidin Trimers, Proanthocyanidin 4-6mers, Proanthocyanidin 7-10mers, Proanthocyanidin (>10mers) This product is 100% natural and minimally processed: Taste, smell, texture, and color may vary from batch to batch. Please Note: This raw powder naturally tends to clump. If clumping occurs, lay the bag on a flat surface and place a towel over the bag. Then pound on the bag until the clumps break up. The towel will help protect the bag from damage. Suggested Use: Mix 1 tablespoon with juice, yogurt, or add to your favorite smoothie or recipes. Acai: The legendary Amazonic superberry! 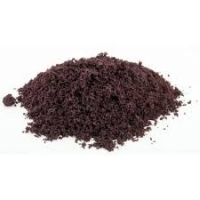 Namaskar Acai Powder is organic and freeze-dried for maximum nutrition and ease of use. Great source of fiber and antioxidants (anthocyanins), supporting vitality and longevity. Contains diverse omega fatty acids â?? 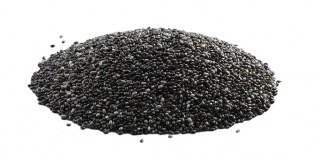 anti-inflammatory powerhouses that are necessary for optimal functioning. About Our Organic Lucuma Powder Lucuma (Loo-Ku-Mah) whole fruit powder is my favourite addition to my breakfast smoothie (see recipe here). It's got a rich, creamy texture and will turn your raw food creations into gourmet heavenly delights. Sourced from farms in Pesco (central Peru), Lucuma is a raw gourmet, organic nutrient dense fruit. Dubbed the "Gold of Incas" this exotic Peruvian fruit is celebrated for its flagrant flavour. Lucuma Fruit Lucuma is a nutrient dense fruit from Peru. It smells divine, and tastes like maple syrup flavoured ice-cream! In Peru, the yellowy-orange fruit pulp is added to ice-cream and is Peru's favourite flavour. This exotic Peruvian fruit is also known as the "Gold of the Incas", and is also one of the lost crops of the Incas. Peruvian culture is steeped in traditions rich in fine foods and cultural culinary delights. The Lucuma name has been honoured both spiritually and culinary since ancient times. Today, this fruit is still prominent in contemporary celebrations. Lucuma powder is really versatile and tasty, blending easily and well with ice-creams, baby food, yogurt, pies, cakes, cookies, smoothies, chocolate bars and desserts of all kinds. How to use Lucuma Powder: Just add a spoonful to your favourite raw desserts, bars or smoothies. Make a coulis from Lucuma and raw agave nectar Approved Health Benefits of Lucuma Powder Micronutrients in Lucuma Powder contribute to: tiny energy-yielding metabolism tiny maintenance of bones tiny maintenance of teeth tiny normal function of cell membranes * These approved health benefits are based on the detailed nutritional composition of the product we supply. These health benefits may not be applicable to similar products from other suppliers. How our Lucuma is processed? Lucuma FruitOur Lucuma is grown on orchards in Peru. The evergreen trees produce greenish yellow flowers are throughout the year, and after being pollinated, the fruits mature on the tree for around 9 months. The Lucuma tree bears fruit throughout the year, but the main harvest occurs in the spring between January and April. It is also free from any GMO.